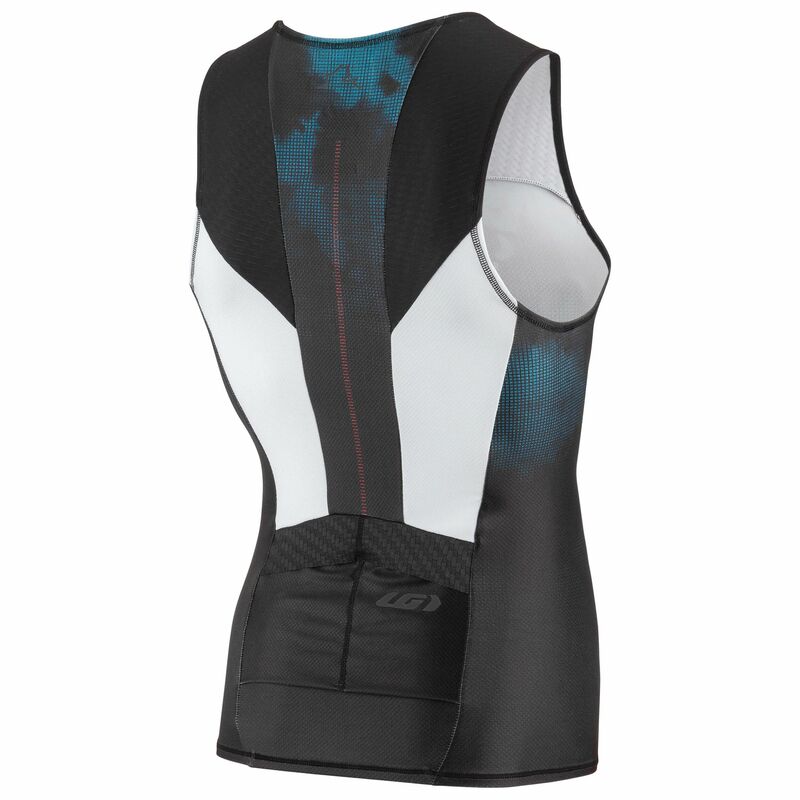 Close-fitting garment designed to provide aerodynamics in a cycling position. 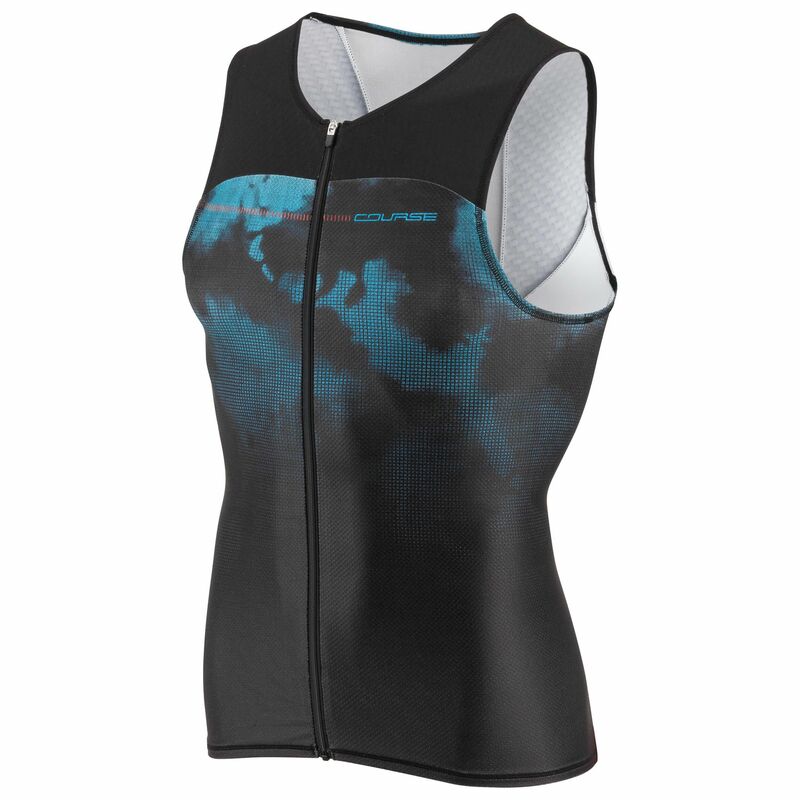 For a less compressive feel on the body, upsize. 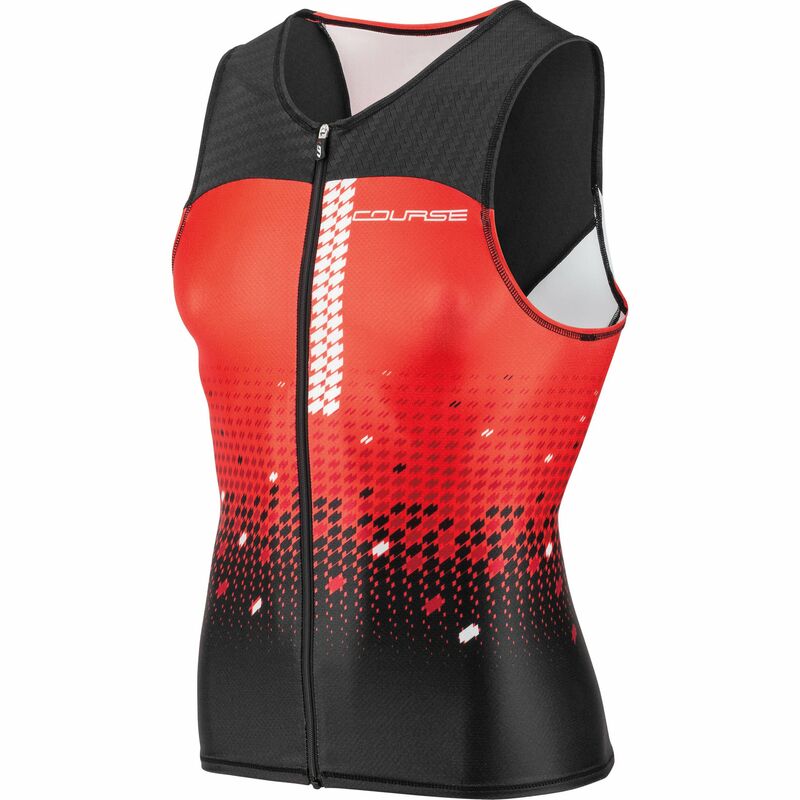 Built with temperature management in mind, the Tri Course Sleeveless top benefits from smart technologies that reduce heat buildup as well as wicking moisture away from the body. It'll keep you dry, and more importantly cool, even at the very height of the action or when the temperature is soaring. Feels comfortable worn under a wetsuit, so you won’t get any uncomfortable, distracting bunching or drag when your mind is on the race.